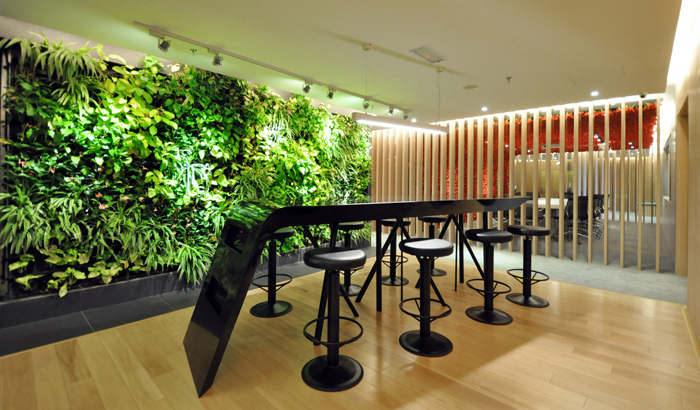 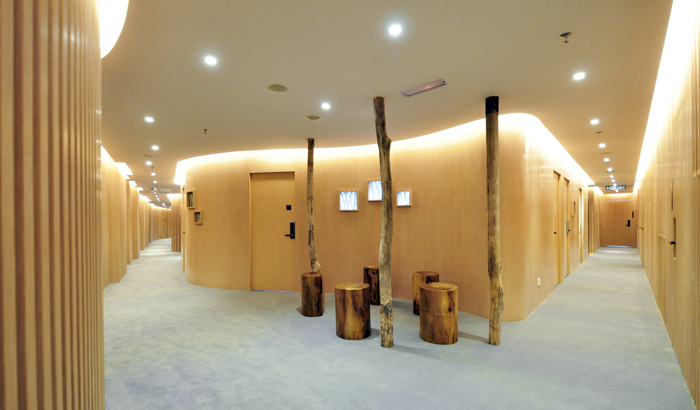 Breaking away from typical cold and uninspiring offices, apbcOffices K.L was designed to create a calming and tranquil environment; inspired by nature and tinged with an element of surprise. 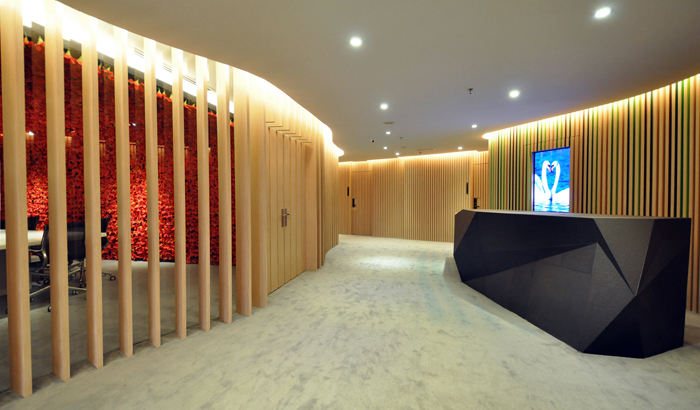 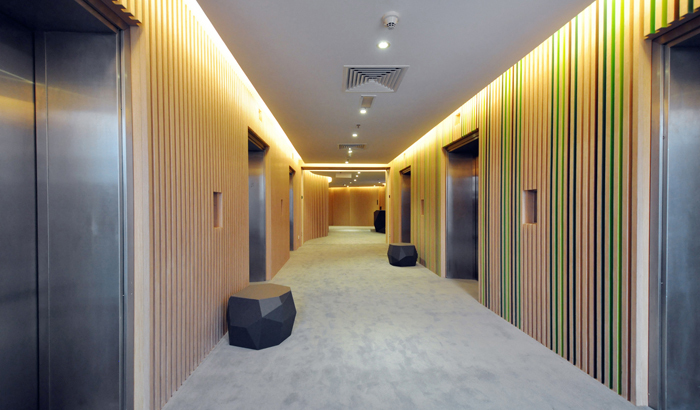 The lift lobby and internal corridors are lined with timber strips to simulate walking amongst trees, leading to the reception desk carved out of natural stone. 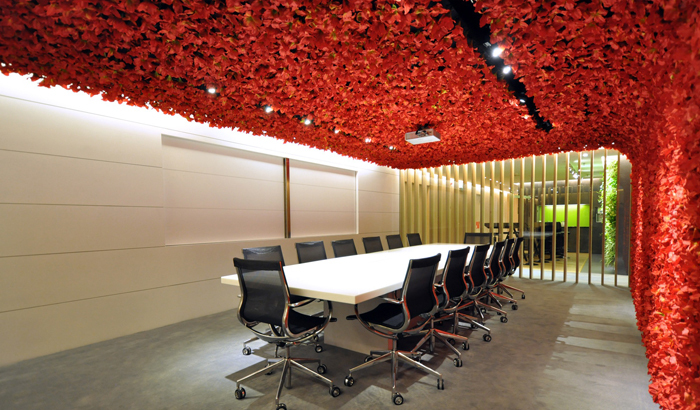 Within conference rooms, meetings are given an unexpected twist of nature, the main feature comprising of a pop-art flower installation, sweeping from floor to ceiling.